Truth is, there really is no story’s end yet, and Little Feat have indeed led a storied life ever since they formed in 1969. From then on, their unconventional signature of earthy, organic appeal and polished, first-rate musicianship wrapped around eclectic and memorable songs--clearly delivered as an authentic labor of love--has been a lasting fixture on the musical landscape. As American as apple pie--and rock ‘n roll itself--Feat’s music transcends boundaries, a freewheeling fusion of California rock and Dixie-inflected funk-boogie. In the mix as well are strains of folk, blues, rockabilly, country and jazz, inventing a hybrid sound that is truly Little Feat’s own. That story is about to add a major new chapter – the 2008 release of Join the Band, a very special project in Feat’s history. Keyboardist Bill Payne came up with the idea of a CD that included many things, but featured major Little Feat hit songs as played by a band that included Feat and some very special friends. When you have friends like Jimmy Buffett, Dave Matthews, Emmylou Harris, Bob Seger, Bela Fleck, Brooks and Dunn, Chris Robinson (Black Crowes), Vince Gill, Mike Gordon (Phish), and Inara George (band founder Lowell’s daughter) – you have musical treasure in your hands. Join the Band is going to make some noise. This initial line-up recorded the band’s first two LPs--their rootsy, 1971 self-titled debut, featuring the classic cut ”Willin,“ and its follow-up, Sailin’ Shoes, which added ”Easy To Slip,“ ”Trouble,“ ”Tripe Face Boogie,“ ”Cold Cold Cold“ and the infectious title track to their repertoire. Upon Estrada’s departure in 1972, Paul Barrere, Sam Clayton and Kenny Gradney (all still in Feat today) signed on, and the rest, as they say, is history…and many more great albums. Next up was Dixie Chicken (’73), a New Orleans-influenced gumbo of greatness that offered up the signature title track and ”Fat Man In The Bathtub,“ among other delights. The two LPs that followed, Feats Don’t Fail Me Now (’74) and The Last Record Album (’75) served up ”Rock & Roll Doctor,“ ”Oh, Atlanta,“ and ”All That You Dream,“ respectively, while 1977’s Time Loves a Hero offered up, in fine Feats fashion, another unforgettable title track. That same year delivered the aforementioned Waiting For Columbus, forever memorializing their legendary stage prowess. During Little Feat’s recording of their eighth album as a group, 1979’s Down On The Farm, founding member Lowell George—who had already been veering towards solo work-- met a tragic and untimely passing. Except for Hoy, Hoy, a 1981 full-length assemblage of rarities, live performances, previously overlooked tracks, and a new song apiece from Payne and Barrere, Little Feat disbanded until the mid-‘80s. At that point, their own lyrics from ”Hangin’ On To The Good Times Here,“ ”…although we went our own ways, we couldn’t escape from where we came, so we find ourselves back at the table again, telling stories of survivors and friends,“ proved very telling. Barrere and Payne remember that a chance jam session in 1986 brought them together again, when they were reminded of how deeply Little Feat’s music was ingrained in them. In 1988, the reformed band—with new members Craig Fuller (handling George’s vocal duties) and Fred Tackett--rekindled Feat’s magic for fans old and new alike. That year, they released the lively reunion album Let It Roll, and the singles ”Hate To Lose Your Lovin’,“ and, of course, the title track. The 1989 follow-up, Representing The Mambo, would prove to be their last for Warner Bros. Next came 1991’s Shake Me Up (on Morgan Creek), after which Fuller departed the band. 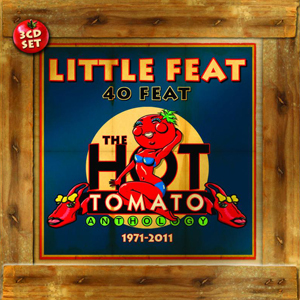 Little Feat added a new lead singer, Shaun Murphy, in 1993, and released an acclaimed studio album, Ain’t Had Enough Fun in 1995 (this time on Zoo). Shaun’s feminine energy and powerful, seasoned, bluesy vocalizations certainly upped the fun quotient for a recharged Little Feat. This incarnation of the band— which remains current today—was captured live to great effect on ‘96’s Live From Neon Park, a two-CD set culling performances from multiple concert venues including San Francisco’s fabled Fillmore Auditorium, Portland, Oregon’s Roseland Ballroom, and House of Blues Sunset Strip. Named after the renowned album cover artist whose striking images gracing Little Feat’s releases was a time-honored tradition (until his death from ALS in 1993), this live-fest featured all the band’s best-loved songs as well as their contemporary material. The collection proved how vital they remained after all the changes time had wrought. 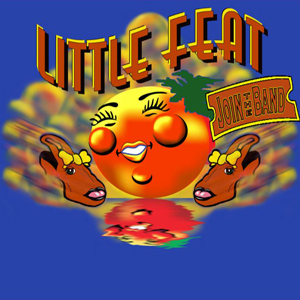 In 1998, Little Feat released Under The Radar, their first album on CMC International. Spotlighting a confident and well-oiled configuration of first-rate talents, Under The Radar delivered a consistently strong set of songs including new Feat favorites ”Home Ground,“ ”Eden’s Wall,“ and ”Calling The Children Home.“ With 2000’s Chinese Work Songs, also on CMC, Little Feat’s ever-evolving repertoire grew even more, featuring original compositions including ”Marginal Creatures,“ ”Eula,“ and ”Another Sunday,“ as well as vibrant covers of Bob Dylan, The Band and Phish songs. Released in October 2003, Kickin’ It At The Barn adds to the ever-growing repertoire on the band’s very own Hot Tomato Records. ”It’s something we’ve talked about doing for a long time,“ says founding Feat-er Payne of launching the label, adding, ”it gives us the chance to do what we want, and it’s there for everybody in the band… and when it’s really up and running, for other artists too.“ In a perfect synergy of saluting their vibrant past and christening the untold future, Hot Tomato kicked-off in June ’02 with the inaugural releases Raw Tomatos and Ripe Tomatos, each a double-CD collection of live rarities spanning over three decades. Tracks were culled from a wealth of tapes amassed over the years from both fans and band sources alike, with each collection boasting well over two hours of music—they are only the first in what promises to be a Hot Tomato tradition of creatively mining the band’s inexhaustible archives. Other Hot Tomato releases include the 2002 two-CD set Live From The Ram’s Head, capturing a 2001 acoustic show recorded in Annapolis, MD, and ‘03’s Down Upon The Suwannee, a live recording captured at the Magnolia Festival in Live Oak, Florida. The title, which is also a tip of the hat to Stephen Foster, refers to the Suwannee River, which flows through the concert site. Fred Tackett’s solo album In A Town Like This came out in 2003 as well, and plans are in the works to release discs from various band members in the future, including a second Paul Barrere/Fred Tackett album, among other projects. Bill Payne finally got on the solo bandwagon with 2004’s Cielo Norte (Northern Sky), a marriage of the various types of keyboard, from synthesizers to acoustic piano, that is at times atmospheric, impassioned, and lyrical, and always intimate. Any CD that takes its inspiration from Yo Yo Ma,, Bill Evans, and John Fahey covers an elegant span of musical territory. Yet another present day acknowledgement of Little Feat’s rich legacy is Rhino’s deluxe 25th anniversary edition of the band’s monumental concert LP Waiting for Columbus, released in 2002 as an expanded two-CD set with extensive new liner notes and rare photos. When it first came out in 1977, Waiting For Columbus instantly became one of the all-time great live rock ‘n roll albums, serving up bringin’-down-the-house versions of a host of Feat favorites including ”Dixie Chicken,“ ”Fat Man In the Bathtub,“ ”Time Loves A Hero,“ ”Sailin’ Shoes,“ ”Oh Atlanta,“ and ”Willin’.“ The new package restores the full 17-song sequence of the original concert, and adds seven previously unreleased outtakes. In October 2002, Little Feat commemorated Rhino’s re-release--and the unforgettable musical event that inspired it-- with a benefit concert at Washington, D.C.’s Lisner Auditorium, one of the two venues where Waiting For Columbus was recorded. An all-star guest line-up including Jackson Browne, Stephen Bruton, Joe Ely, Bela Fleck, Levon Helm, Sonny Landreth, and Billy Bob Thornton helped the band celebrate. Rhino/Warner Bros. also saluted Little Feat’s accumulated musical history with the comprehensive retrospective Hotcakes & Outtakes: 30 Years of Little Feat, a project initiated and co-produced by Bill Payne and Paul Barrere. Released in 2000, the deluxe 4-CD, 83-track boxed set features hits from all of Little Feat’s classic albums as well as fan favorites, alternate takes and hand-picked rarities from the band’s eventful past.